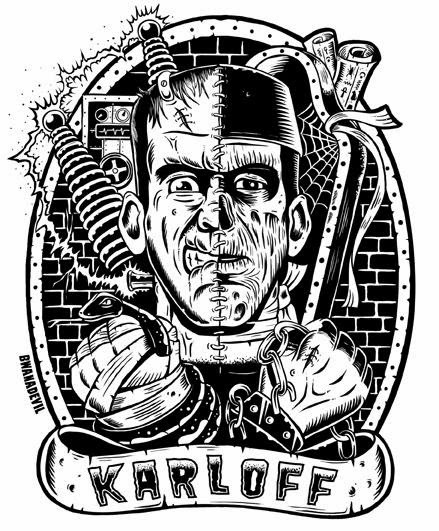 Karloff. New design soon available as prints and T-shirts! Karloff. 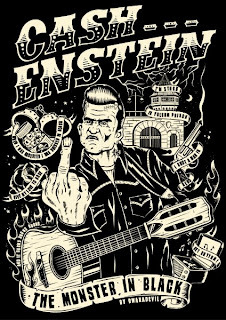 Nuevo diseño muy pronto disponible como camiseta y posters! 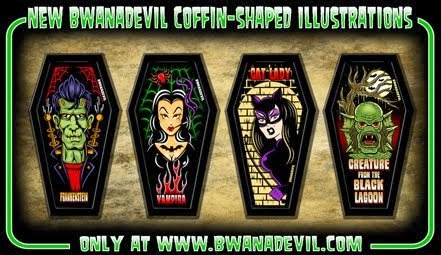 We are working on a new BwanaDevil tattoo flash set that will be available early next year. 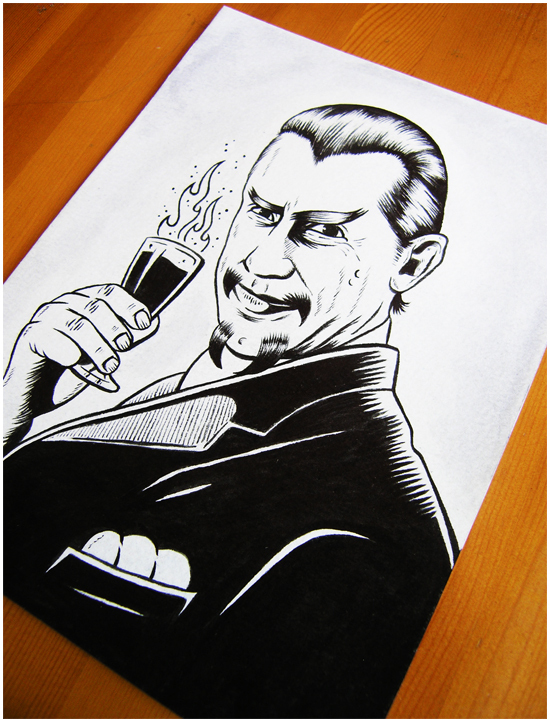 At the moment we'll leave you with a small preview as a holiday gift. 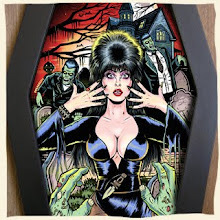 A free Elvira tattoo! 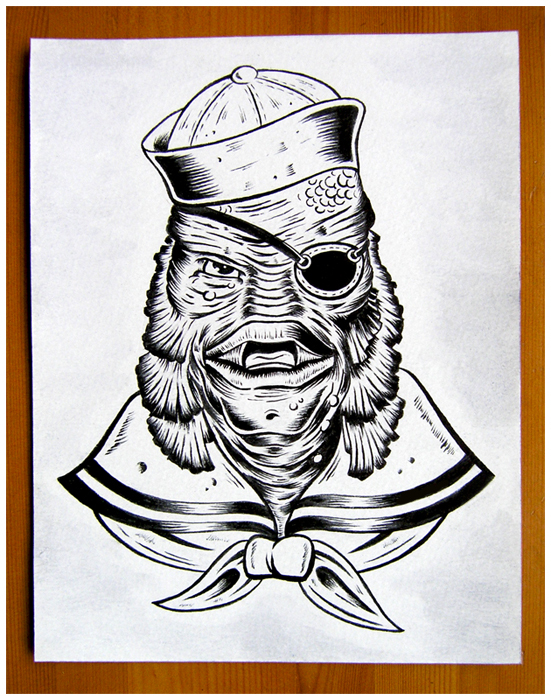 Estamos trabajando en un nuevo tattoo flash set que estara disponible durante los primeros meses del 2014. 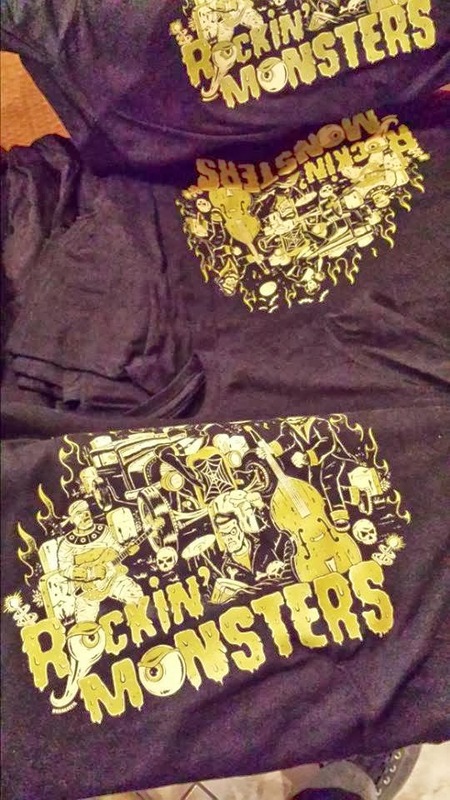 De momento os dejamos un pequeño avance como regalo de navidad para que os tatueis! 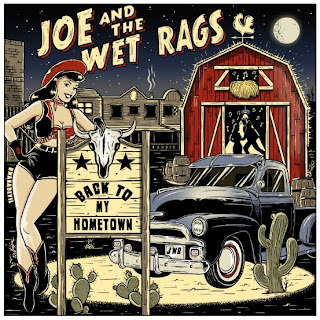 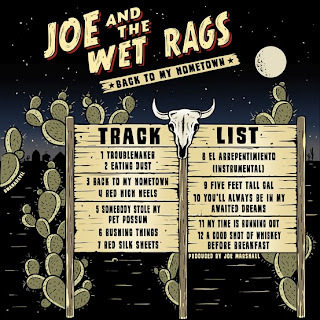 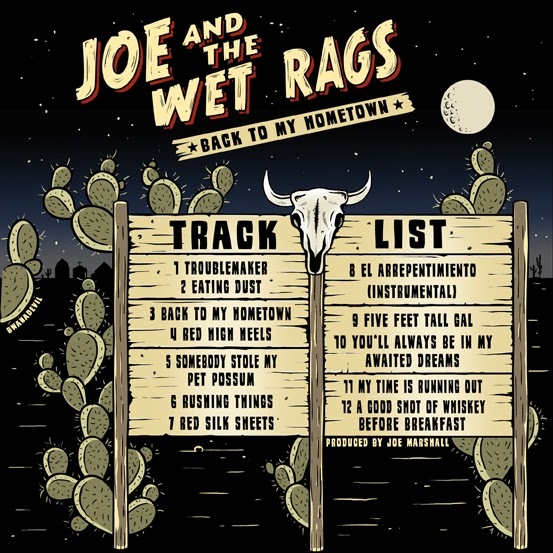 Cover & back design for Joe and the Wet Rags! 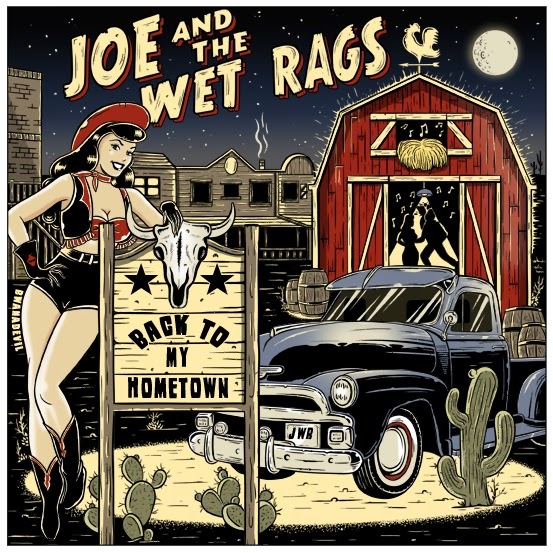 Front and back cover design created by BwanaDevil for the band Joe and the Wet Rags (Brazil)! New Design for Boozers rockabilly club! 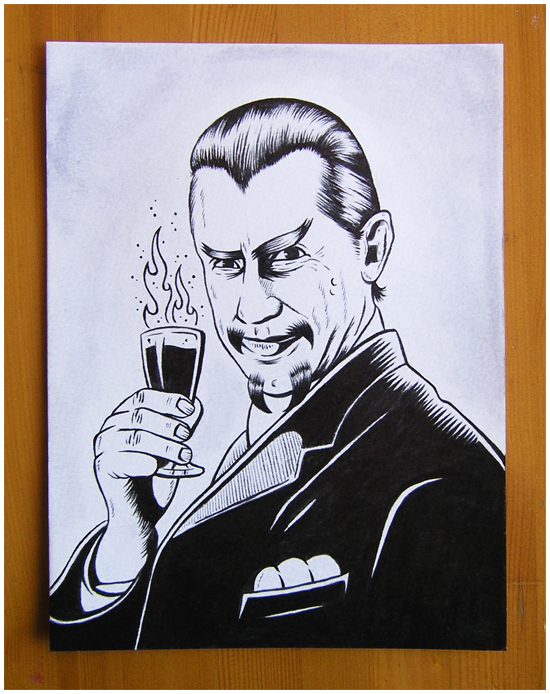 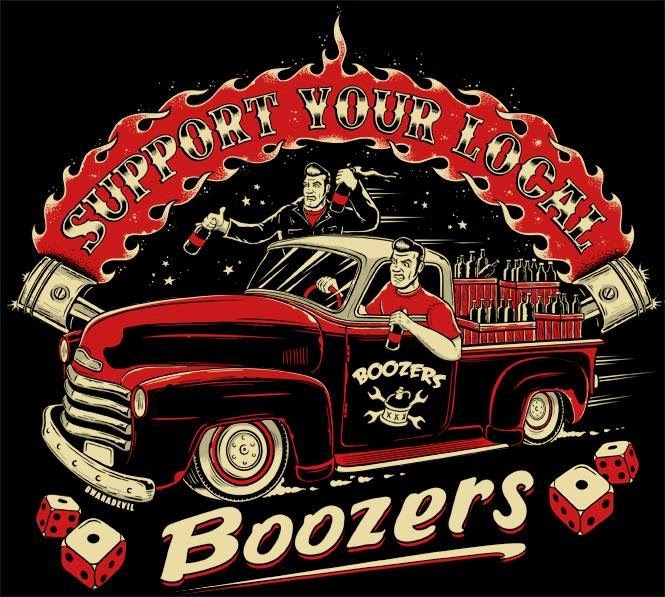 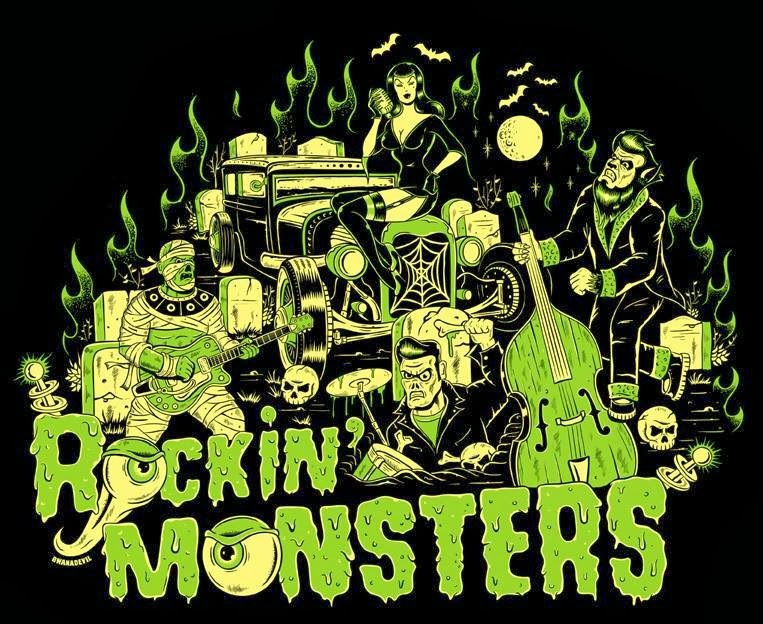 New logo design by BwanaDevil for the Boozers rockabilly club (Germany)! 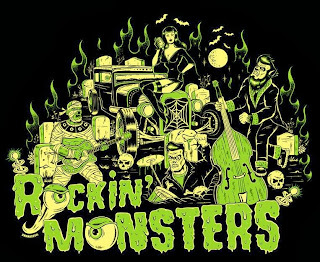 The Garterbelts & Gasoline Nostalgia Fest.! 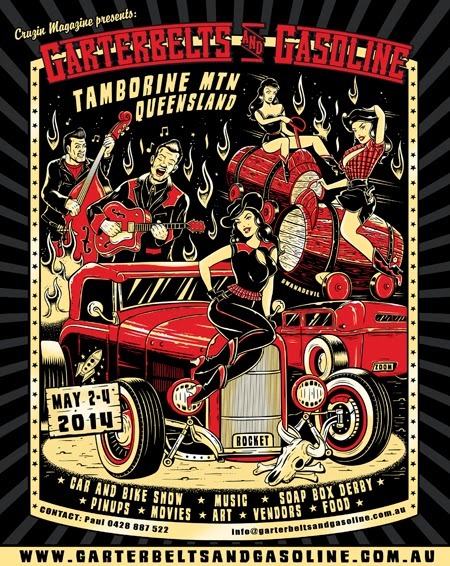 New design by BwanaDevil for The Garterbelts & Gasoline Nostalgia Festival Australia! 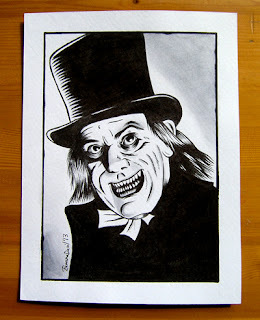 Lon Chaney Sr.(London after midnight) Original! Now available!!! Ink and watercolor on 300g watercolor paper created and signed by BwanaDevil. 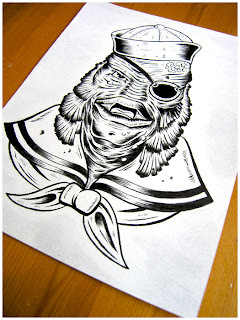 Original piece!!! Measurements: 15 x 20 cm // 5.9 x 7.8 in. Price: 29,90 Euro FREE SHIPPING!!! 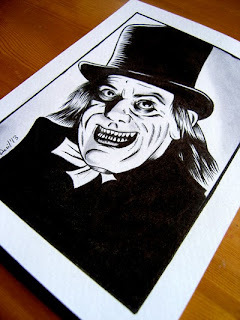 Ink on 300g watercolor paper created and signed by BwanaDevil. 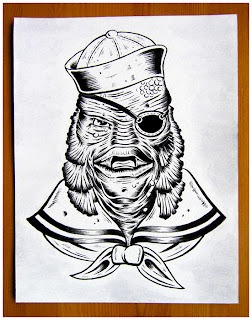 Original piece!!! 15 x 20 cm // 5.9 x 7.8 in. Ink on watercolor paper 300g. 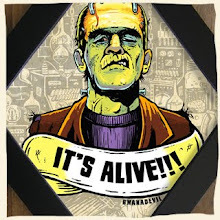 Created and signed by BwanaDevil. 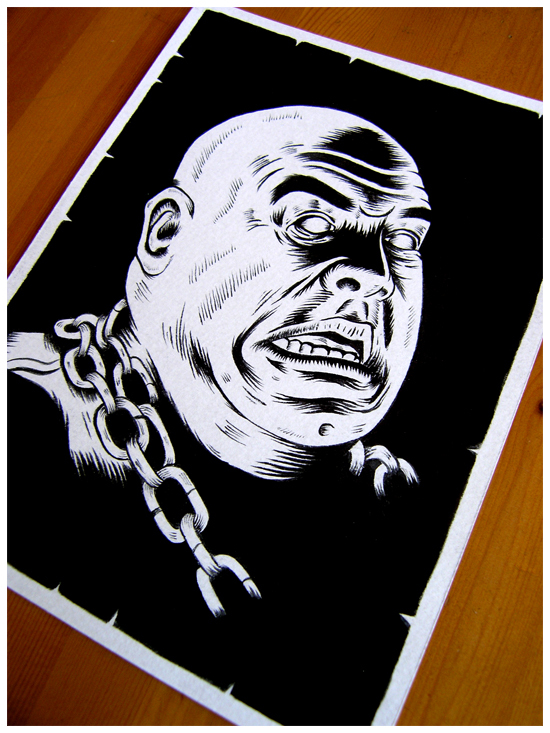 PRICE: 29,90 Euro and FREE SHIPPING!!! 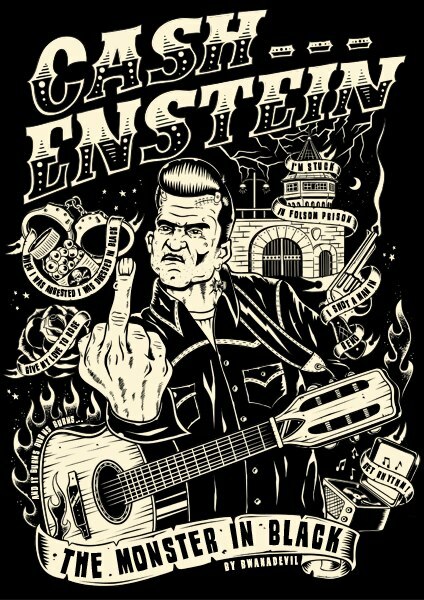 Cash...Enstein! 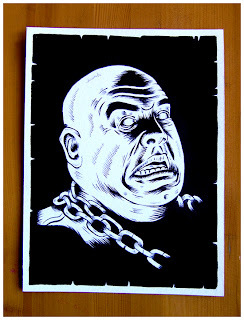 New BwanaDevil T-shirt design.